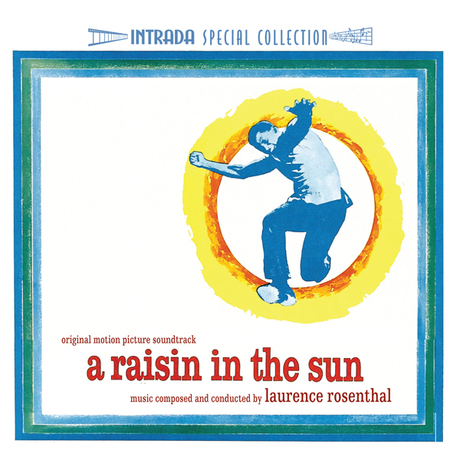 “A Raisin in the Sun” was adapted from the acclaimed play by Lorraine Hansberry that debuted on Broadway in 1959. It is a potent narrative on the pathology of segregation still pervasive in America almost one hundred years after the hope and promise of the Great Emancipation. The title is derived from the renowned poem “Harlem” by Langston Hughes, who poses the following question, “does a dream deferred dry up like a raisin in the sun”? Set in the early 1950’s, the story provides us with a few weeks in the life of the Youngers, an African-American family living in the dire poverty of the South Side of Chicago. Mama the matriarch has just inherited an insurance check for $10,000 after the death of her husband. What ensues is a tragedy born of desperation arriving at an intersection of competing aspirations. Mama wants to buy a house to fulfill her dream of a better life, while her son Walter would rather use the money to invest in a liquor store with his friend. Beneatha, Mama’s daughter, wants to use the money for her medical school tuition. After buying a house in an upscale white neighborhood, Walter loses the balance of the money entrusted to him in a bad deal. What is left is a fateful choice; accept a buy-out from neighbors intent on purging them from their pristine white neighborhood, or forging ahead with quiet and determined dignity to pursue their new life. The film which most critics claim is one of the best films ever made regarding an African-American family, provides a powerful narrative with yet another exemplary performance by Sidney Poitier. In accepting the assignment Rosenthal related that he was beset by great trepidation; “It was my first Hollywood movie and I was scared to death.” Never the less he rose to the challenge and went on to create a truly classic score, finding the perfect balance between orchestra, colorful jazz and traditional African-American spirituals. Indeed this score in my judgment may be the best in his canon. The Main Title opens with muted horns playing a triplet motif, a motif that permeates the entire score. It was added to the main title after the initial screening to assuage a studio executive who felt the opening lacked potency and drama. After the opening statement we hear the main theme, a beautiful lyrical piece taken up by violins that flows effortlessly and evokes a sense of hominess and tranquility. You can almost detect traces of a traditional African-American spiritual coloring in its undercurrent. Yet at the 1:26 mark we are abruptly taken out of the moment. Dissonant horns usher in Walter’s theme which is a four note jazz theme carried by saxophone, supported with cymbals, bass and muted horns. This theme is energetic, restless, syncopated and effectively serves to potentiate tension when played against the more lyrical main and Mama themes. “Memories of Big Walter/In My House” opens with a subdued variant of the three note motif which then brings us a third theme, Mama’s theme carried by delicate woodwinds and violins. This theme with wonderful flute statements is warm, embracing, nurturing and fully embodies Mama, the matriarch of the family. After a dissonant blast, the cue loses it’s warmth and ends with an echo of the main title triplet. In the lengthy “Meet Joseph Asagai/Asagai Departs” which opens with a dissonant variant of the three note motif we hear a truly wondrous variant of Mama’s theme that is up tempo, lighter and carried by chirping woodwinds in an almost dance like manner. There are harp, glockenspiel and xylophone accents which abound and make this a most beautiful and enjoyable listen, one of the best cues of the score. ”$10,000 Check” opens with a contemplative variant of Mama’s theme that is rudely interrupted by Walter’s jazz theme which is decidedly up beat, energetic and full of itself, reflecting outwardly his inner coveting of the money. In “Stand Up, Walter Lee” a dissonant and twisted variant of the three note motif serves as a prelude to Mama’s theme which is now pensive, sad and unsure of itself as division in the family over the disposition of the money has created palpable unease. The use of dissonant strings and muted horns as well as the return of Walter’s jazz theme serves to build tension. Providing contrast in the score is “Flaming Spear” a percussive, primal and rhythmic jungle piece carried by hand drums and solo male voice singing a traditional African song. I found this a most unexpected and fascinating diversion. While classic funky jazz is the order of the day in ”Kitty Kat Club” and “The Phonograph” which provide us with the usual ensemble of solo sax, piano, cymbals and strumming bass that keeps the beat. “How Bad Things Are / She Bought You A House” is a fascinating and complex cue that features an interplay between the lyrical main theme and Walter’s theme. The cue opens with the triplet motif and Walter’s jazz theme which slowly subsides to release the main theme which is warmly expressed. What develops next is a most interesting interplay between the strings carried main theme and a subdued version of Walter’s theme which sheds its jazz coloring to instead be carried by solo bassoon. But this is short-lived as the cue ends with a jazz caveat. “Hurt and Pain/You Be The Head Of This Family” opens in with a classic low key funky jazz piece carried by solo sax, piano, cymbals and strumming bass keeping the beat. It doesn’t care where it is going and is taking its time getting there. Around the 2:47 mark we segue into another statement of the main theme, this time evoking sadness and uncertainty as Walter’s jazz theme again intrudes disrupting its natural flow. Clearly all is not well. “The New House” introduces a fourth theme and is a the score highlight for me. It is a bright and idyllic piece abounding with happiness and an incredible lightness of being. Violins and woodwinds carry the piece which just abounds with glockenspiel, xylophone and harp accents. Later we hear a contented restatement of the main theme that becomes playful and dances, fully providing us with a sense of joy and fulfillment. We hear this wonderful theme restated in “Invitation to Nigeria/On His Knees” as Beneatha is courted by her Nigerian beau. “Parking/Willie Is Gone” opens with woodwinds evoking a sense of trepidation but it quickly changes pace accelerating with a brief jazz motif that then segues into a very dark and twisted variant of Mama’s theme. Gone is its hopefulness, dignity and warmth, instead replaced with a terrible pathos that speaks of hopelessness and futility. The score concludes with “He Come Into His Manhood Today” which begins hesitantly with an ascending violin statement of Mama’s theme that is soon joined with the happiness theme as xylophone and woodwinds again restore a sense joy. The cue then segues into a full presentation of the main theme played with restrained dignity and contentment which tells us that all that has gone wrong will end right. Amen. To this lover of classic scores Intrada has unearthed with this world premiere release a truly magnificent and original soundtrack by Laurence Rosenthal. The transfer of the music from the well preserved quarter inch mono masters, courtesy Sony Pictures, is flawless. I thank Intrada for their long over due resurrection of this timeless score. As stated before I do not believe we should discount a score simply because it is not presented in 24 bit stereo. I must say that I am really impressed with this score which has a multiplicity of rich themes and motifs that are brilliantly woven together into a wondrous tapestry. Rosenthal’s use of jazz, African-American spirituals and traditional African music provides an effective contrast against the score’s more lyrical elements. Also noteworthy is how well the music is attenuated to and synergistic in supporting the film’s poignant narrative. I cannot say enough good things about this score and I highly recommend this CD to those of you that seek classic film scores, as well as main stream collectors not prejudiced toward mono recordings. This score is a worthy addition to any collector’s collection. Music composed and conducted byLaurence Rosenthal. Orchestrations by Arthur Morton. Album produced by Douglass Fake.